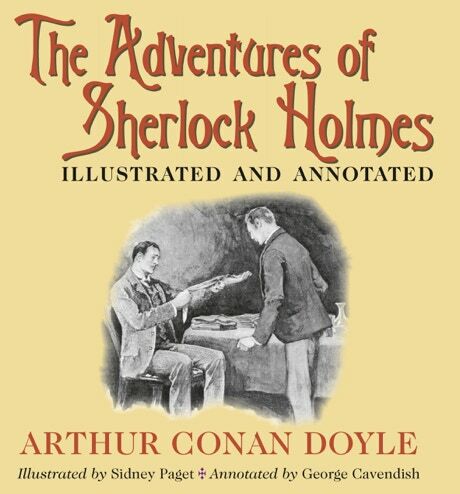 This new illustrated edition of The Adventures of Sherlock Holmes has added explanations as sidenotes to help those readers who are not familiar with some of the phrases used by the author and his characters – after all the stories were written over 120 years ago. Some of the author’s phrases are still in use in modern-day British English and these are described to make the text clearer to English speakers from outside of the UK, or to those who do not speak English as a first language. Also included is some background information on places, names and terms used in the stories. It is not essential to consult the notes when reading this book, however, it is hoped that the explanations will enhance the reader’s enjoyment of the stories by giving them some insights that might otherwise have been missed. The book is illustrated with Sidney Paget’s beautiful drawings that so help to visualize the stories. All of the drawings from the first publication have been included. Paperback, 8.5 inches × 8.5 inches; 216mm × 216mm; 278 pages.